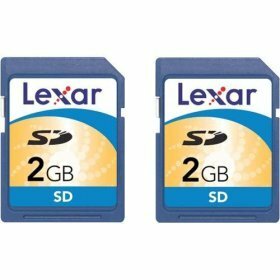 Lexar Media Secure Digital (SD) Cards are designed for use in many digital devices including digital cameras, MP3 players, PDAs, Cellular Phones and camcorders. The Lexar Media SD Cards have an erasure-prevention switch to keep your data safe. When the switch is in the locked position, it will stop you from accidentally copying over or deleting data stored on your card.